There’s always one loud sibling in the family, am I right? 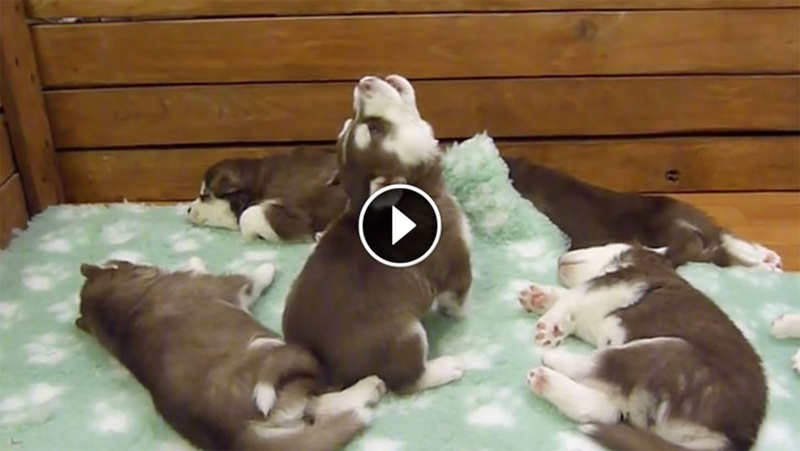 While the rest of his brothers and sisters were trying to take a nap, this Husky pup decided it was the perfect moment to practice some howling. Truth be told, his efforts are so sweet and gentle all of the other pups slept right through them. They can sleep tight knowing that their brother is keeping a watchful eye, but something tells me once he gets stronger (and louder) they may have a thing or two to say about him interrupting their slumber, LOL.